Usnea barbata is a species of lichen that is distributed throughout much of the world with the exception of North America. Somewhat of a cross between an algae and a fungus, the organism relies on a semi-parasitic relationship with trees for its survival. Because it has a mossy appearance and drapes from branches like a mop of hair or beard, it is commonly known as Beard Moss, Methuselah's Beard, Old Man’s Beard and similar names. It is classified as an herb due to its use in China for more than 2,000 years. Due to the presence of antioxidant compound, Usnea lichen is used as a dietary supplement and also as a preservative in cosmetics. Usnea barbata is a lichen in the Parmeliaceae family. Usnea generally grows hanging from tree branches, and resembles massess of grey or greenish hair. Like other lichens it is a symbiosis of a fungus and an alga. The fungus belongs to the division Ascomycota, while the alga is a member of the division Chlorophyta. Usnea has a very similar visual appearance to Spanish moss—so much so that the latter plant's Latin name is derived from it. Tillandsia usneoides means the "Usnea-like Tillandsia". Usnea is very sensitive to air pollution, especially sulfur dioxide. In poor conditions the plants may grow no larger than a few millimeters, if they survive at all. However in unpolluted environs, they can grow to lengths of 10-20 cm. 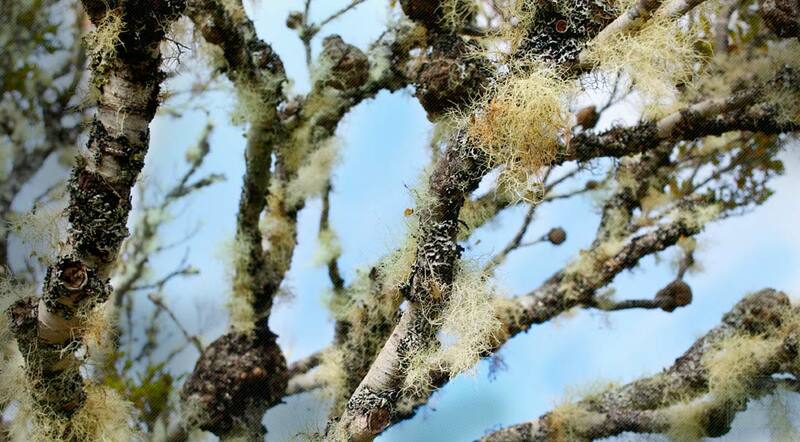 Since usnea lichen grows in hanging clumps from tree branches and resemble grey or greenish hair—its common name monikers like Old Man’s Beard and others often invoke this resemblance. Usnea grows all over the world, most commonly found in the pacific Northwest which provides most of the nation's supply. Usnea can be found growing on older trees in cool, damp forests. Like other lichens, Usnea often grows on sick or dying trees. The pre-existing loss of canopy leaves characteristic of these older or sickly trees allows for greater photosynthesis by the lichen's algae. Because of this preference some gardeners mistakenly reverse cause and effect and blame the lichen for the tree's leaf loss and illness. As a fruticose lichen, Usnea appears as a shrub-like growth on host trees. Does not grow well in polluted air. The plant reproduces via vegetative means through fragmentation; asexual means through soredia; or sexual means through ascogonium and spermatogonium. The dried thallus or lichen strands are harvested as needed and dried for later use. Store the dried usnea lichen strands in an airtight container in a cool, dry place. When it comes to treating digestion, you can’t get much better than usnea. This herb has been used by the ancient Greeks to treat digestion and it’s still one of the best choices for dealing with digestive problems. And while it works wonders at helping the digestive system do its job, you’ll find that usnea can also provide relief from a few other conditions. Let’s take a look at all that usnea can do for you. Usnea is a bitter herb. It causes the salivary glands to become stimulated and it also increases the amount of digestive juices that are produced. Bitter herbs are well known for their ability to improve a weak appetite and help food to digest properly and without pain. Usnea works very well in this capacity. Because it stimulates mucus production, usnea is also useful in fighting respiratory problems. It actually helps to protect the delicate tissues of the respiratory system. The mucus acts as a lubricant and cushion for the system so that coughing doesn’t cause as much pain to the body. Another interesting property of usnea is that it works as an antibiotic. That means it can fight off bacterial infections in the body. If you’re suffering from an infection brought on by bacteria, usnea can treat the problem and even eliminate it. Unlike many herbs, usnea isn’t a plant. It’s actually a lichen that grows native to North American and the European continent. 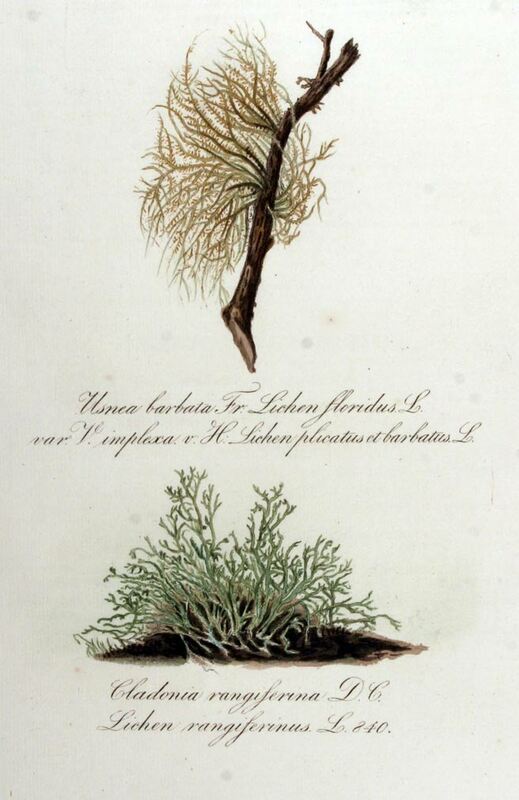 The entire lichen can be used in herbal medicine. It can be used in several forms. For example, you can take tincture of usnea, but you can also take it in capsule form. While the tincture may be more bioavailable, meaning the body can use it more easily, it’s not always convenient. Capsules provide a way for you to take it more conveniently. Usnea has been used by the Chinese, the Egyptians, and the Greeks. They’ve all experienced the wonders of usnea and how it can heal and restore normal function to the body. Why not be the next person to try it? If you’re looking for relief from a respiratory infection, digestive problem, or bacterial invader, usnea may be exactly what you’re looking for. Keep a supply of it in your cupboard so that you can use it whenever you need it. Usnea is generally safe to use, but you should always consult a healthcare provider before beginning an herbal treatment program.